I think I am getting into a “oat phase” these days. I try to put oats and oat bran wherever I can. Oat bran, oat flour, rolled oats, anything oat makes me happy, besides I love my fibers. I had bought too many bananas (I forgot I had a bunch at home), but I always fear to be banana depleted in the morning for breakfast, so I keep buying more than I can actually eat. Two of those bananas were overly ripe and what do do with over ripe bananas other than shakes? 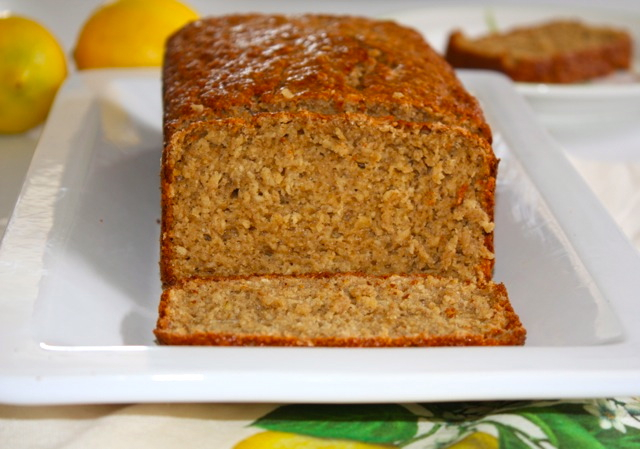 banana bread or cake, right? But it needs to be banana and oats together or nothing at all, so banana-oats combo it will be. In my world, I would have called this a banana cake but in the US it’s more a bread than a cake (I’m sure there is an explanation, but I haven’t had the time to google it). In France anything called bread contains yeast and not baking powder. Anything called bread is something very different and looks like a baguette and tastes like one too. Since I didn’t have any oat bran flour, I grounded some oat bran into a fine texture which ended up like flour. It all turned out quite well. 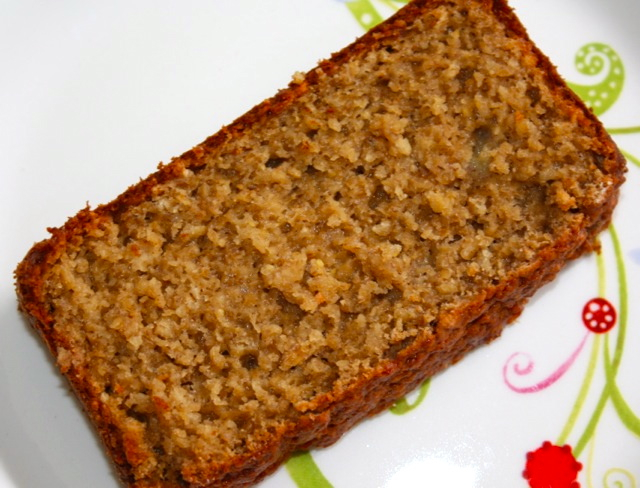 This cake is very moist and not sweet at all so it could work as breakfast since it has a good amount of nutrients. In a mixing container, mix flour, oats, sugar and baking powder. In a mixer, add banana, yogurt, oil, eggs, vanilla. Mix to obtain a smooth texture. Pour liquid mixture containing the bananas to dry mixture containing the flour and oats. Mix well. Grease a pan with butter. Coat with flour and remove excess flour. Pour batter and bake in the oven at 350F for about 50-55 minutes. This entry was posted by silvia on May 24, 2016 at 12:50 am, and is filed under Breakfast/Brunch, Desserts. Follow any responses to this post through RSS 2.0.You can leave a response or trackback from your own site.